If you want a computer that fits into your life, not something you have to fit your life around, HP’s 2-in-1 laptops are calling your name. With our options, you’ll not only get a device you can sit down and get to work with, but also one you can kick back and relax with when it’s all over. If you want to see just how easy it is to balance work and play on a 2-in-1 tablet, look no further than the HP Spectre x2 detachable laptop. With the HP Active Pen and Windows Ink, you can test that old saying about a picture being worth a thousand words. Whether you want to draw or write on a photo, sketch out that spark of genius, or markup a document and share your ideas in one click, it's all a touch away. You'll also get a whole lot of power. Whether it's the remarkably strong copper-coated stainless steel kickstand or the Intel® Iris™ graphics and Intel® Core™ i5 and i7 Processors, you can rest easy knowing the Spectre x2 won't fold under pressure. Our HP Spectre x360 laptop models can give you a battery that's as committed to finishing the day strong as you are. And if you're both drained when the work's done, HP Fast Charge can get you back to a 50% charge in 30 minutes—just in time to watch your favorite show. We know 2-in-1 laptops are meant to go places, just like you. With the HP ENVY x2 laptop, your battery life can last up to 20 hours, so you and your favorite power outlet can both have some time alone. If you want power and durability, the scratch-resistant touch display featuring Corning® Gorilla® Glass may make you forget "it's just a scratch" was something you ever said. And with the thinness of 6.9 mm and a weight of 1.21kg, you may also forget you were carrying anything with you—until you need to put down that special idea with the HP Digital Pen. 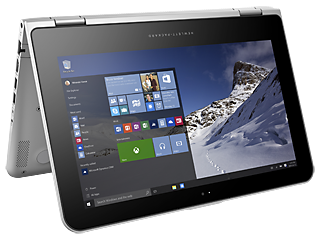 And then there’s the HP ENVY x360 convertible laptop. At 8.2 million pixels, our Ultra HD 4K experience may make you believe everything on your display is right there in front of you. And if you reach out to to your screen just to make sure there really is glass separating you, you’ll meet the multi-touch display that gives you all the control you could ask for in an 2-in-1. With the tablet, you can write whenever an idea strikes, and with the stand you can get comfortable and watch something fun. But we know, sometimes you’ve got to focus and get down to business. That’s why it can become a full-featured laptop, and by using a tent mode, you can show the world just what you’ve accomplished. With your choice of next-generation Intel® Core™ i processors or AMD processors, and the possibility of up to 16GB of RAM, you’ll be capable of accomplishing a lot. 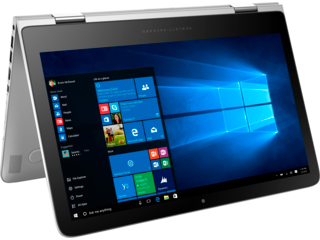 We know that when you’re looking for our best 2-in-1 laptops, you’re also looking for flexibility. That’s why we we’ve got options to match your budget and your goals. With the HP x2 detachable laptop, you get four different modes to match whatever the situation calls for, plus all of the essentials you’re looking for. And when you’re looking ahead, you’ll be happy to find the 5MP rear camera that can capture the moment. 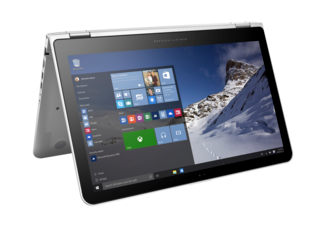 If you decide to go with the HP Pavilion x360 convertible laptop, you’ll get a 2-in-1 that packs a punch at a price you won’t regret. 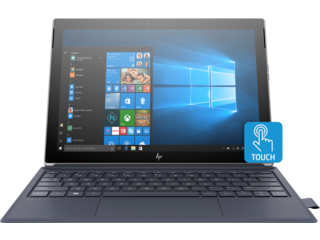 With a 7th Generation Intel® Core™ i3 processor, 4GB of memory, a 1TB HDD, and a 15.6" diagonal HD touch display, it can be the tool for all of your trades, or the perfect assistant when you’re focusing on just one. Why settle when you can have it all? If you need the ease of a tablet, and the reliability of a laptop, why not settle for both? Whether it’s at home, or the home away from home, our 2-in-1 laptops can give you the freedom to bring yourself, plus the many hats you wear, anywhere you’re needed.